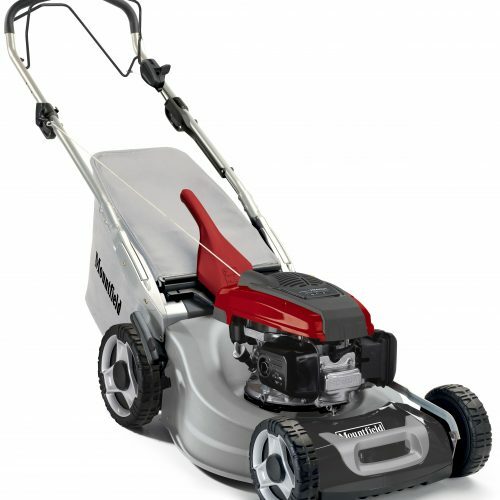 The Hayer Harrier 41 Push Rear Roller Petrol Lawnmower is a compact, solid and powerful. 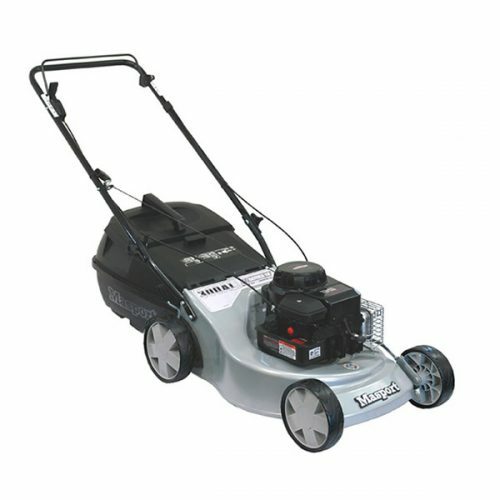 The Harrier 41 push-propelled rear roller lawn mower is a popular choice and a joy to use in a small to medium garden. 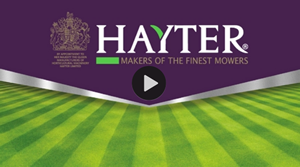 Hayter’s latest generation Harrier 41 range builds on the successes of its predecessors and embraces modern design and technology to deliver top quality, high performance with precision cutting and classic stripes, and an aluminium deck for durability and long life. 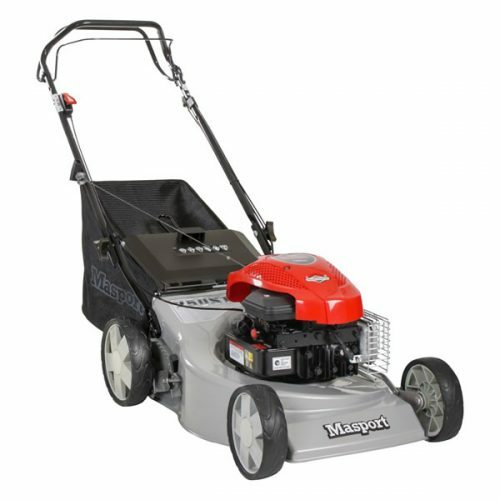 The Hayter Harrier 41 petrol lawn mower is powered by a reliable Briggs & Stratton 575EX Series four-stroke OHV engine. 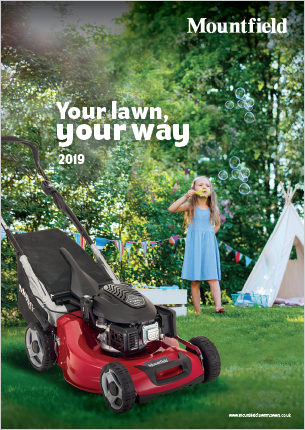 Hayter chooses Briggs & Stratton, the largest producer in the world of engines for outdoor equipment, as the engines are designed specifically for lawn mowers and deliver high power at low speed, essential for heavy duty mowing and quiet operation, with easy-starting and low emissions. 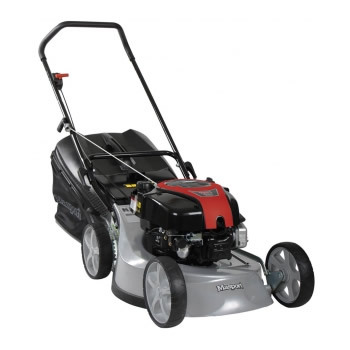 ReadyStart equipped engines benefit from the Briggs & Stratton ‘S2 Guarantee’ which offers the piece of mind that the engine will start within two pulls every time, with no need to manually prime or choke the engine. Featuring a 41cm (16″) width of cut, the Hayter Harrier 41 has seven height of cut settings between 13mm and 60mm which are controlled via a single counter-balanced lever for quick and effortless adjustment. Unique, high performance enhancement fins on the front of the deck have been designed, along with the high impact inner deck liner, to help comb and hold the grass in the upright position before the grass is cut. This results in a 30% more efficient grass collection and improved quality of cut, at the same time reducing the risk of thrown objects. The large 60 litre grass bag is made of tough, lightweight fabric for improved airflow and has two handles for easy emptying by lifting through the handlebars. The grass clippings can be discharged out of the rear of the mower when the grass bag is not attached. 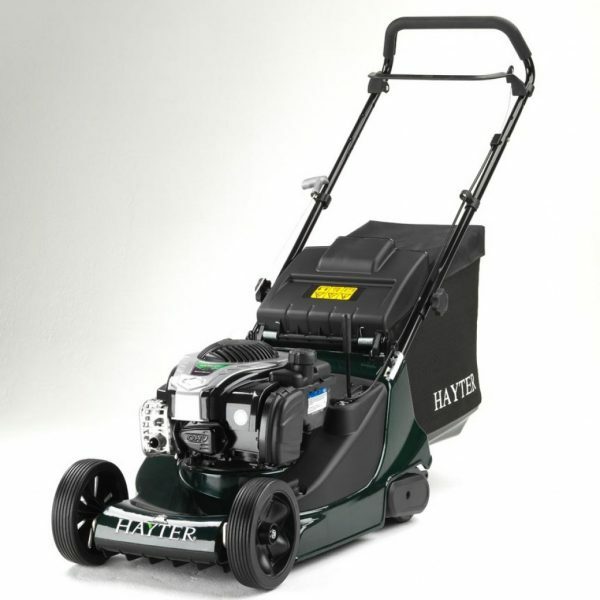 The Hayter Harrier 41 achieves those typically British stripes with its full width, ribbed rear roller, which also improves traction when cutting lawn edges and around flower beds. The wheels are fitted with rubber tyres and ball race bearings for smooth operation and long life. 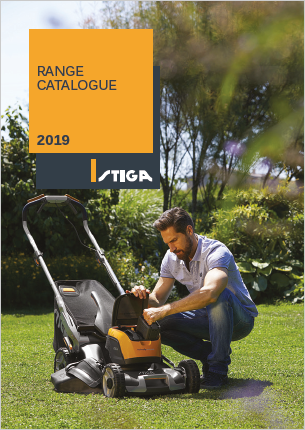 Safe and comfortable operation is ensured thanks to the full width handlebar including OPC, the Operator Presence Control which, when released, stops the engine and blade completely. The handlebars fold for easy transport and more compact storage. The Hayter Harrier 41 hand-propelled rear roller petrol lawn mower is ideally suited to lawns of around half a tennis court in size and gives a fine, formal, striped finish. The Hayter Harrier 41 range gives you complete peace of mind with a five year conditional manufacturer’s warranty. It also has a lifetime guarantee against engine crankshaft bending through Hayter’s friction disc system.